Regional Director, Fr Raymond Husband, receives the flame of leadership from Fr Pat Raleigh on St Columban's Day 23 November 2018 in Dalgan Park. 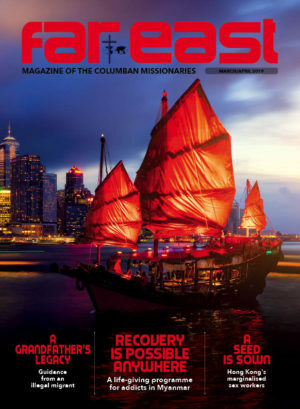 A message from our regional director, Fr Raymond Husband, published in the January/February 2019 issue of the Far East magazine. As we begin a New Year, I would like to take this opportunity to wish all our readers of the Far East, our benefactors and friends a Happy and Peaceful New Year. In November 2018, I was appointed Regional Director of the Columbans in Ireland. I wish to express my sincere thanks to my predecessor Fr Pat Raleigh for the great leadership he has shown over the last six years. Pat brought commitment, energy and vision to the position of Regional Director. I wish Pat every blessing for the future. It is my hope that you will extend the same support to me as you did to Pat in my new role. 2018 marked the centenary of our foundation as a Missionary Society. During the year we had many celebrations throughout the country and especially here in Dalgan on 1 July. It brought home to me how much we the Columbans are held in high regard by the people who attended the various centenary celebrations. To all who participated in and worked so hard for the success of these celebrations I extend my since thanks. 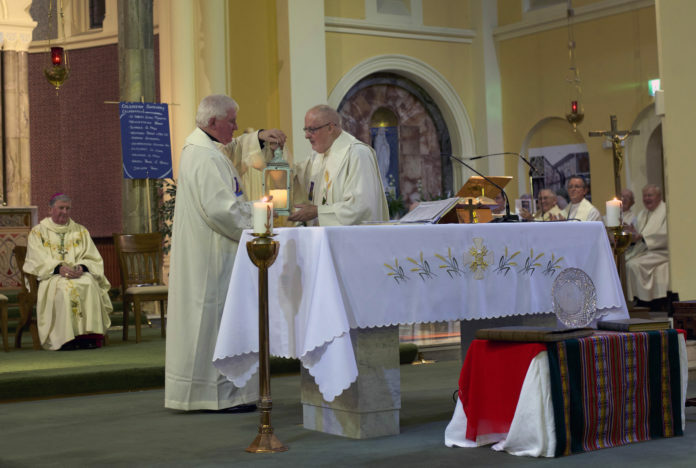 Fr John Blowick, our Co-founder, had the vision to recognise that our work as missionaries would not be possible without the partnership, friendship and support of the people of Ireland and Britain. Today that partnership is still appreciated and valued. 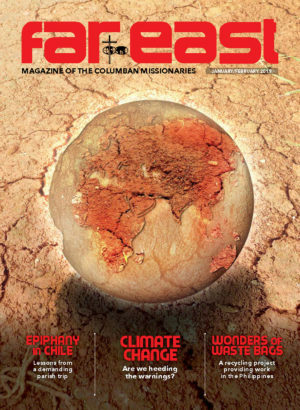 Columbans continue the mission entrusted to them by God. They work to proclaim the Gospel of Life, in the midst of a broken and fragmented world. In our ministries of evangelisation, justice and peace, interfaith dialogue, and integrity of creation we seek to proclaim the Joy of the Gospel. As we stand at the threshold of a New Year together we are called to step out in faith, to work in partnership to proclaim the Joy of the Gospel wherever we find ourselves be it home or abroad. I thank you all for your continued support and I assure you of the prayers of our Columban community.